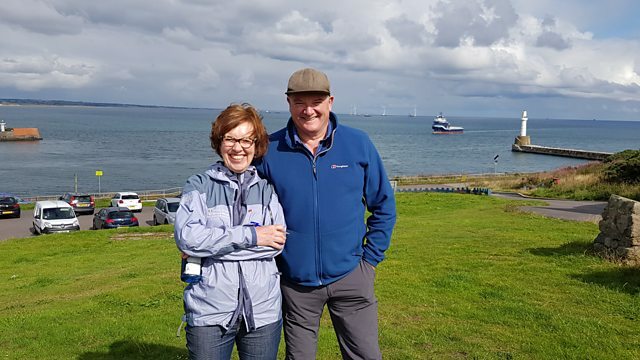 Join Mark Stephen and Karen MacKenzie for the latest outdoor activities from Shetland to the Borders, plus the key stories for those who live and work in the countryside. We’re up at Torry Battery, now well known for dolphin watching but what is its history? Mark and Karen find out from David Fryer from the Torry Development Trust. Karen gets a boat tour round Aberdeen harbour to hear about its importance to the city. We also get to take a look at the new harbour expansion at Nigg Bay. Arbroath is famed for its smokies but Mark finds out there’s a lot to explore along the nearby coastline. The RSPB Dolphinwatch initiative has put Aberdeen on the map when it comes to spotting cetaceans. Karen finds out more about it and tries to spot a dolphin. Fittie is a small fishing village in the east end of Aberdeen harbour. It has a unique layout and a close community as Karen hears. Mark takes the water with regular listener Gordon Anderson. They set off from Inverkip Marina in Gordon’s boat Runa which actually started off life in Aberdeen harbour! Karen explores Marine Scotland’s laboratory as it prepares to invite the public in for Doors Open Day. Helensburgh was lacking any link to its naval history until Brian Keating had the novel idea of bringing a submarine to the town and displaying it in a very interesting way.